Coming from their exciting Madame Butterfly collection, the Ashdene Ayako Teapot is sure to make a stunning addition to your household. 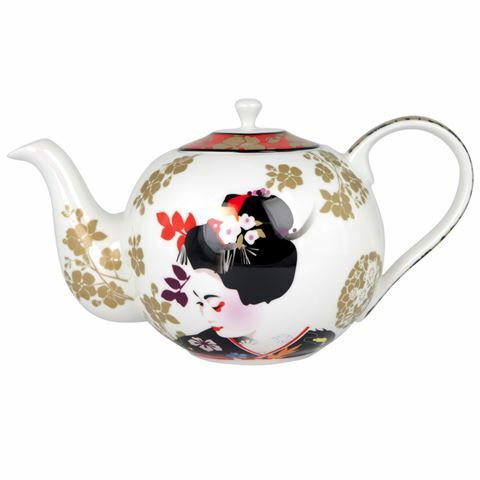 Featuring a design inspired by traditional Japanese illustrations, this gorgeous teapot is bursting with personality. With its large size, it’s ideal for sharing some tea with some close friends. And like all Ashdene products, it’s made from high quality materials – being formed from fine bone china. Secure yourself this stunning item today. Inspired by traditional Japanese illustrations. Beautifully presented in a Ashdene box.